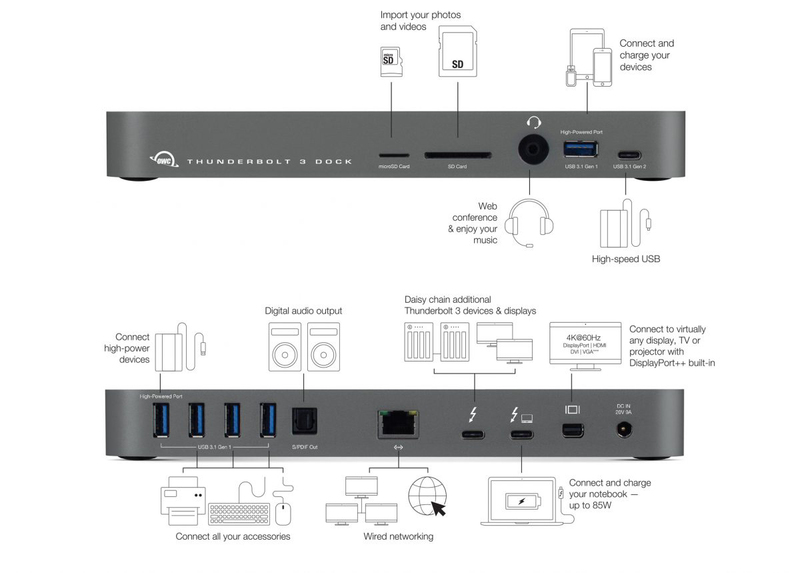 With the world of technology the way it is, people need things like a Thunderbolt 3 dock. We’ve reviewed some of these in the past- including one by OWC. This is a similar one, but a few different features. We’ll do a review of the dock we were given recently. This dock comes with a Thunderbolt 3 cable. It is not very long, and some users might wish to buy a separate longer cable. It also includes an external power supply and user guide. The sleek dock is 9.1 x 1.0 x 3.5 inches and weighs 1.2 pounds. A two year warranty will ensure user happiness. 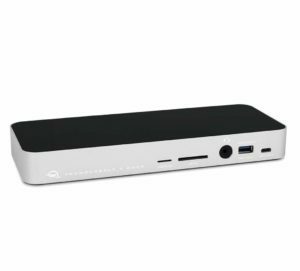 The OWC Thunderbolt 3 Dock comes in Silver(like the one we received) and Space Grey- which is just a darker color along the side of it. This item can be purchased for $299.00 on Amazon.com. We were given a free one for review purposes, but our review is not influenced by outside sources.